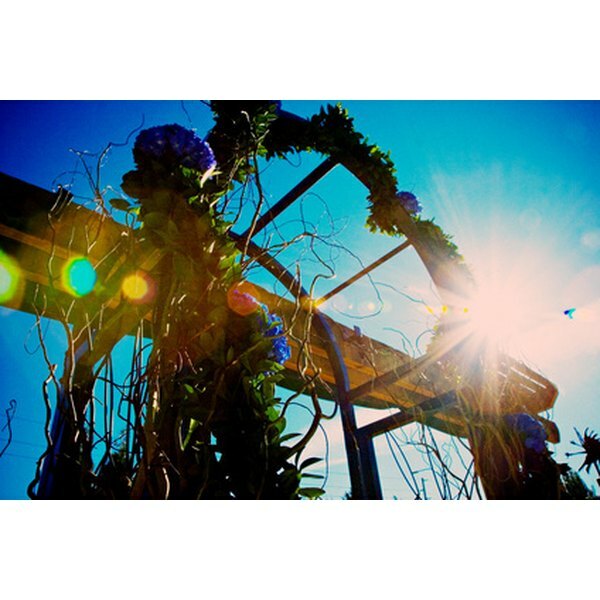 Decorating the wedding arbor with flowers lets you add more color to the ceremony. The wedding arbor has a special meaning for many couples because they take it home after the ceremony and use it in their backyard. Every time they see this arch, they’re reminded of their special day. It’s similarity to a traditional arch makes it useful as a trellis or a decorative piece for hanging flowers and vines. When you start planning your wedding, consider using an arch or arbor because while it might not cost a lot money, it’s something you’ll keep for years to come. The four-post arbor is much like other arbors, but with two extra posts. An easy way to achieve this look is by using two arches. Place the arches several feet apart and decorate with flowers or ivy. Run a large piece of fabric across the two arches, to create a flat top. Add more fabric to cover the arch frame, and tie ribbons around each side of the arch to hide any seams. The balloon arch isn’t a permanent addition, but it's a budget-friendly idea. The arbor itself is made of plastic or another flexible material and is available from party supply stores. You’ll even find some arches with specially made slots for holding the balloons. On the day of the ceremony (or the day before, at the earliest), inflate the balloons and attach each one to the arbor. Make stripes or another pattern by alternating different colors of balloons. Favor Ideas has a Christmas arbor idea that consists of white lights, mistletoe, ivy and an arch frame. Arrange the arch in the proper spot for the ceremony and cover with ivy. Wrap small, white lights around the ivy and plug into an electrical source. Then add a single piece of mistletoe from the middle of the arch, directly above where the couple stands. Decorate with a few red ribbons or vintage glass ornaments. A photo arbor is made of pictures of the couple together, as well as photos from important moments in their lives. It’s best for indoor ceremonies or as a decoration at the wedding reception, especially if you’re using real photographs. Decorate the outside of the arbor with fresh flowers and ivy to hide the frame underneath. Then add photos of the couple, including baby pictures, family photos and graduation pictures. 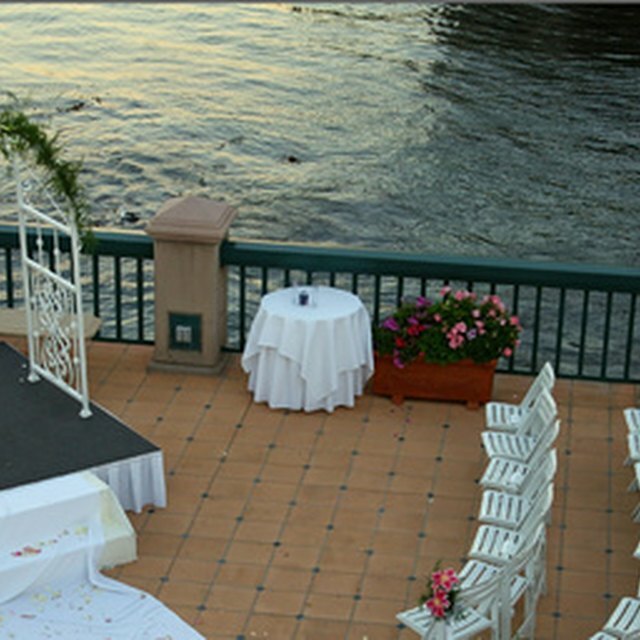 You can also ask wedding guests to contribute by adding their favorite picture to the arbor.